Music Maker gives you the room you need to bring your ideas to life. And now you can even customize Music Maker to fit your personal style. Simply pick one of the Music Maker editions and select the sounds, features and instruments which matter most to you. And no matter what you choose, your Music Maker is guaranteed to come equipped with a new professional sound engine and free updates. The new Music Maker audio engine is actually the same engine used by countless professional music producers in our pro DAW Samplitude. The world's best-sounding audio engine — now available in Music Maker too! More creative freedom: With multicore support, your computer can now make optimal use of all of its CPU cores. Make as much music and use as many instruments and sounds as you like! Put to the test by professionals: Premium Audio FX. From vintage sounds to authentic digital mastering tools based on real analog equipment. A huge selection of sounds. Discover the Music Maker Store. Making music with Music Maker is incredibly easy. Plus, it's completely free! Download the latest version today for free or purchase one of our popular special editions and join a community of over 2.0 million Music Maker users worldwide. It's time for the Music Maker of your dreams. Choose your favorites from among thousands of sounds. Select the software instruments you need. You can even pick the functions you need to customize your version further. First, create your own Music Maker. Then, create your own music. Following purchase, you will receive an email with your download link and serial number. Install Music Maker and enter the serial number in the Store. You can now select the exact instruments, sounds and features you want in the Music Maker Store. And new ones are being added all the time. Your Music Maker version - your style. What content can I choose? Always up to date, always available. Your Music Maker belongs to you. Our promise to you: From now on, you will always be able to download the latest software version of Music Maker. Even if you use the free version, you'll receive all basic functions and bug fixes free. And that's the case for as long as we continue to develop Music Maker. So - from now on, everything's free? No, not everything. However, our goal is to continue providing you with the best environment for making music. This is why we're always working hard to make Music Maker better with bug fixes and new, cutting-edge features. More exclusive software instruments, updates, features and Soundpools for the Music Maker Editions will be made available for purchase in future. Your Music Maker — goes where you go. Always on tour? Access your sounds, functions instruments from anywhere! Simply download the free Music Maker, log in to the Store using your account and download all your purchased content. Plus, you can also activate your other features, Soundpools & instruments from older versions right in the Music Maker Store using your serial number. 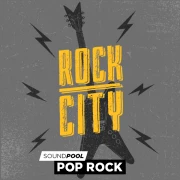 Our Soundpools are handcrafted to give you the best possible sounds for your productions. Each Soundpool contains a range of loops in a given music style, such as 80s, EDM or trap, as well as loops for beats, basses, melodies and even vocals and raps. All you have to do is drag, drop and combine them. And the best of all: All the sounds fit perfectly together. The Trap – Future Bass Soundpool is comprised of a range of "audio modules" called "loops" — in this case, 18 bass lines, 96 drum samples, 38 synthesizer parts and much more. You can combine these elements freely with each other in order to make professional-sounding music. Even if you aren't a pro. Music Maker is free and comes with 425 sounds & loops. It enables you to produce your own beats, create EDM tunes and record your own songs. Every software instrument has its own sound. Every sound has a different story. You get to decide how that story is told. 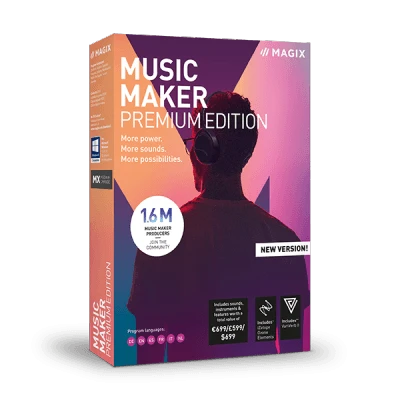 All controlled via keyboard, mouse, MIDI controller or MAGIX Audio Remote App, you choose the instruments for whichever Music Maker edition you have right within the Music Maker Store (4 instruments for Plus Edition; 8 for Premium Edition). Brass and woodwinds, drums, strings and a whole range of additional sounds: Compose breathtaking and atmospheric orchestral music with Vita Orchestral Ensemble. From dubstep to hip hop: This virtual instrument is based on the typical structure of legendary hardware samplers. Legendary analog synthesizers: Euphoric soundscapes, groaning bass waves and hard electro sounds. Crunchy bass lines and fat low-end sounds guaranteed to get your speakers bangin'. Plus tons of filters and presets. Design soundscapes, complex sequences and organic synthesizer sounds for your projects — the possibilities are endless. The classic sound and style of legendary drum machines and samplers. Click here to learn about the other instruments. Each copy of Music Maker includes a virtual freeware synthesizer, a free concert piano and a Vita 2 sample player to let you develop your own fat basses, EDM melodies, classical piano chords and entirely new sounds in not time at all. The screen keyboard can be played in two modes. You can play it with a classic piano design plus MIDI chord and arpeggio functionality. The second mode doesn't have your typical piano design. By selecting various scales, it automatically only plays the notes that fit the song you're working on. Easily develop your own melodies, rhythms, chords or complex arrangements using your mouse or keyboard. With this music recording software, ideas sketched this way can be played using Music Maker's virtual instruments. You can also change their timing and volume afterwards. Music Maker makes it easy to record whatever you want. Just connect your mic, USB keyboard or drum pad controller (e.g. the novation Launchkey mini from Music Maker) and you're ready to go. Simply connect a microphone, guitar or USB keyboard and you're ready to import your live music and record in studio quality with the lowest possible latency. Experience a new sense of rhythm: Live Pad mode (available in Plus Edition and higher) lets you change beats and even mix live. Activate drums, breaks or vocal parts on the 16 pads, and then record it all. Your own personal finishing touch. A huge range of professional effects, including chorus, echoes, wah-wah and flanger, provide the sounds you need to get heads nodding. Develop your own sound using chorus, echo, wah-wah and flanger effects. Make some noise with Vandal SE — distort, amplify and alter the sound of your recordings. Available in Music Maker Plus Edition and higher: Robot voice & electronic distortion. Discover all the professional audio editing tools in the essentialFX Suite — available in the in-program Music Maker Store. Expansive reverb. Give your songs more depth, atmosphere, brilliance and texture. Discover the easy way to master with iZotope Ozone Elements, the smart mastering assistant. 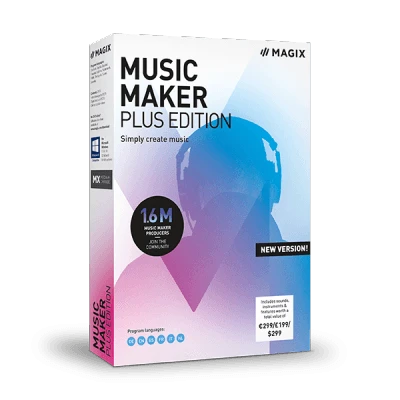 Professional mastering tools are included in Music Maker Plus Edition and higher editions. These enable you to work with high precision when fine-tuning your final mix. Want to finally complete your last mix? You can now automatically perfect the sound using the mastering presets designed for various genres. An improved sound analysis and practical monitoring feature are also included. Once your song is completed, the mastering suite lets you create an even better vibe. Professional tools, such as the parametric 6-channel equalizer, the StereoFX module, the limiter and a multiband compressor provide the necessary finishing touches. We're not the only ones talking about the new Music Maker. Here's what artists and the press have to say.